Shabby chic laundry basket in hand woven white willow wicker. Round laundry hamper with grey linen liner. Perfect for storing in the bathroom or bedroom. 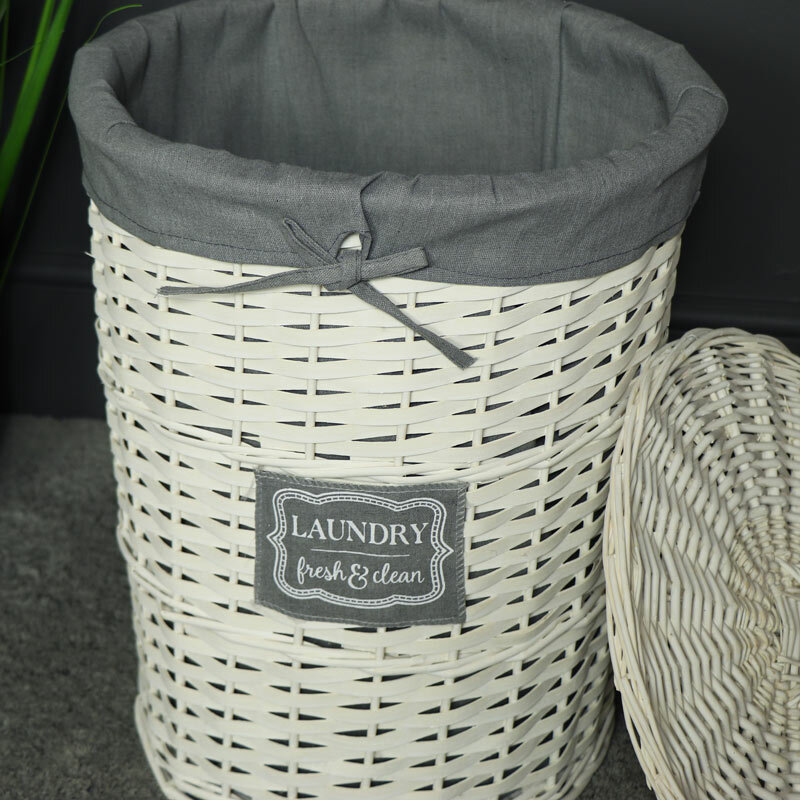 Ideal sized laundry hamper, complete with lid, perfect for keeping laundry tidy. With 2 other sizes available. Perfect for the country cottage styled home with little label on the front of the basket. Shabby chic laundry basket in hand woven white willow wicker. Round laundry hamper with grey linen liner. Perfect for storing in the bathroom or bedroom. 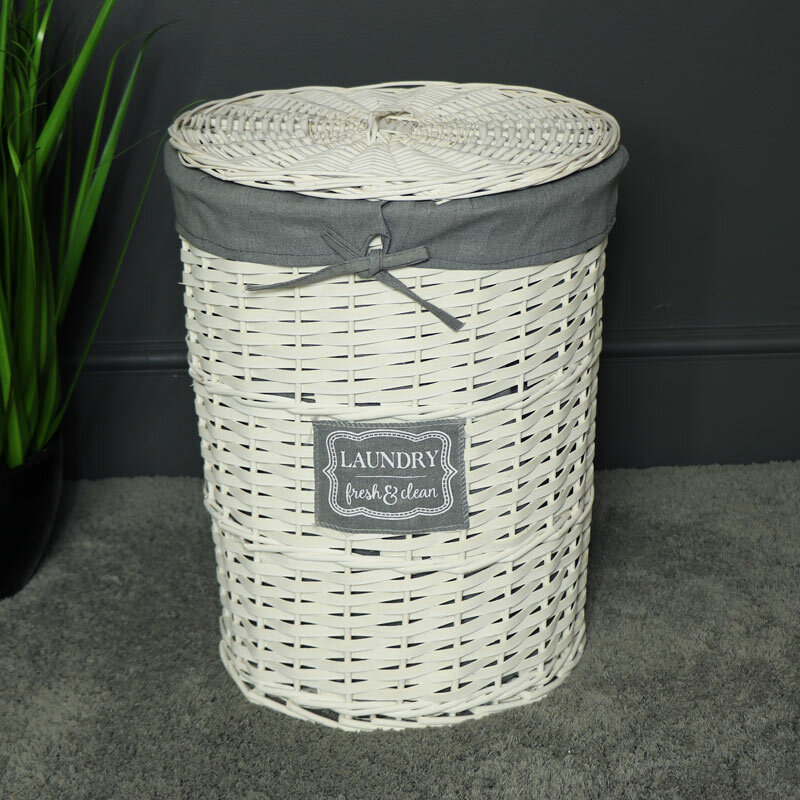 Ideal sized laundry hamper, complete with lid, perfect for keeping laundry tidy. With 2 other sizes available. Perfect for the country cottage styled home with little label on the front of the basket.